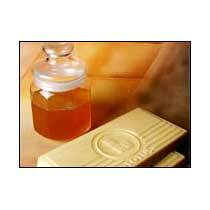 Cocoa Butter which is also called theobroma oil or theobroma cocoa, is a pale-yellow, pure edible vegetable fat extracted from cocoa beans. We ensure that the finest quality beans are used to make cocoa butter in a way to enhance the mild chocolate flavor and aroma. We provide pure prime pressed Cocoa Butter. Also, we offer pure prime pressed deodorized Cocoa Butter.